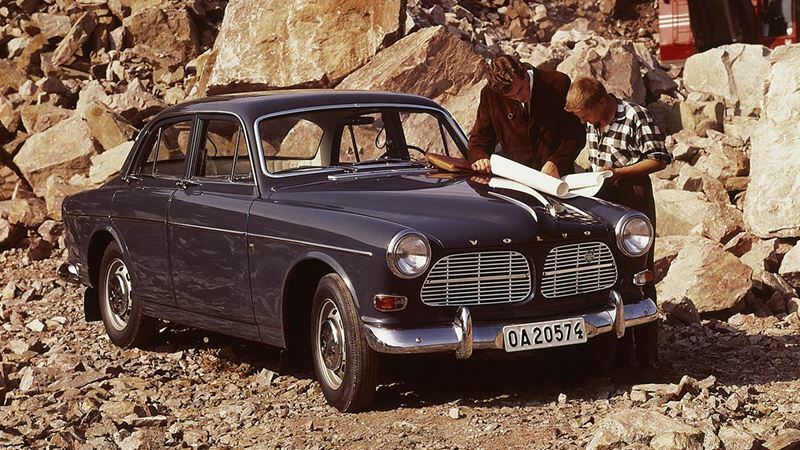 This Volvo model appeared on the market in1957 and played a significant role in Volvo's development during the 1960s. From the beginning, the P120 was only available as a 4-door model, but the programme was subsequently extended to include 2-door (P130) and an estate (P220). In the autumn of 1961, the P120 models included a number of relatively large changes. The previous 1.6-litre engine was replaced by the B18 with an output of 75 or 90 bhp, a 12-volt electrical system, a new grille and the 90 bhp model featured disc brakes on the front wheels. Hydraulic drums on all wheels. 1961: disc brakes on front wheels for S versions.